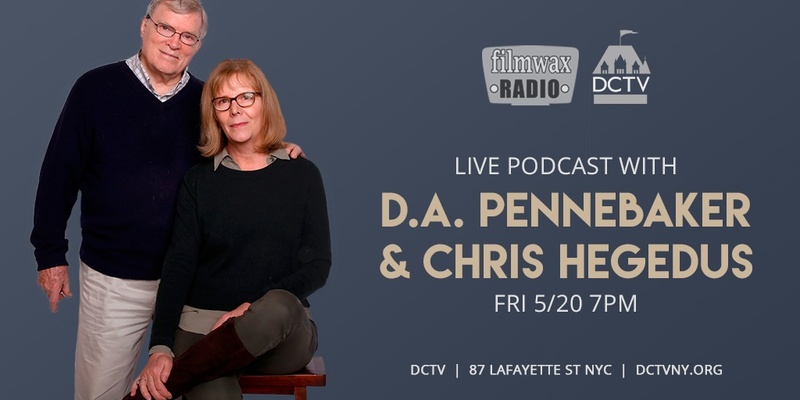 DCTV and Filmwax Radio cordially invite you to a special live podcast event, a conversation with filmmakers D.A. Pennebaker and Chris Hegedus, one of the most respected teams of documentary filmmakers working today, about their longstanding careers and new documentary feature, Unlocking the Cage. Unlocking the Cage follows animal rights lawyer Steven Wise in his unprecedented challenge to break down the legal wall that separates animals from humans, by filing the first lawsuits that seek to transform a chimpanzee from a “thing” with no rights to a “person” with legal protections. Unlocking the Cage opens May 25th at New York’s Film Forum, and nationally in June. This event is a part of DCTV Presents, DCTV’s signature screening and event series that highlights innovative and provocative work from the independent filmmaking community. I don’t often champion a film with such vigor but I love me some STRONGMAN! A couple of years ago when I was screening films under the auspices of The Filmwax Film Series, I opened my second season with Zachary Levy’s documentary. Zachary was also the very first guest I ever had on Filmwax Radio! It’s been a couple of years since the film came out and finally the film is receiving a much deserved broad digital distribution on such platforms as iTunes, Amazon, as well as becoming available on DVD. This Wednesday, October 23rd at 7PM, you’re invited to join in celebrating this great development with friends of STRONGMAN and Filmwax. 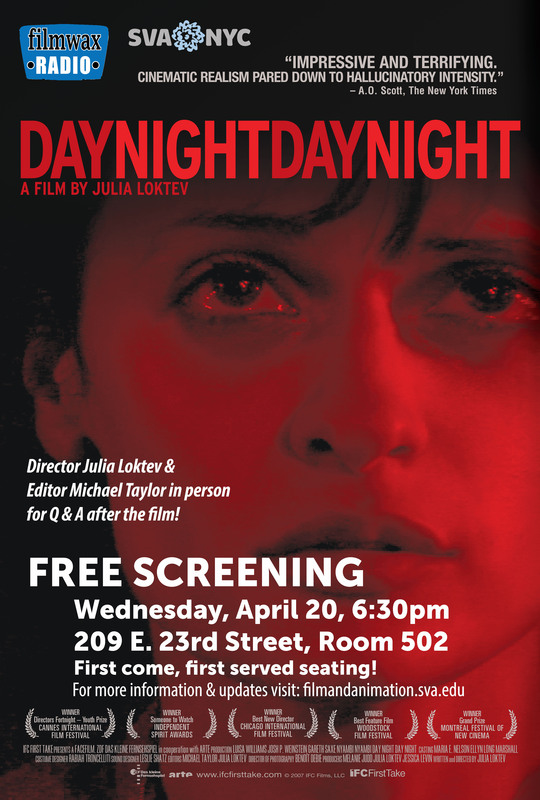 We’ll start with a screening of the lauded film at Theater 80 on St. Marks Place. The Strongman himself, Stan “Stanless Steel” will be present, as will girlfriend Barbara. Stan’s band, Ajammination will make their world debut playing a live set after the screening. That will be followed by a cocktail hour in theater’s bar where Stan will be signing DVDs (and other Stan-aphenalia) and hanging out. We ask that you either purchase tickets ahead of time or to make a donation at the door (suggested $10). That admission gets you to a nice break if you purchase a DVD. 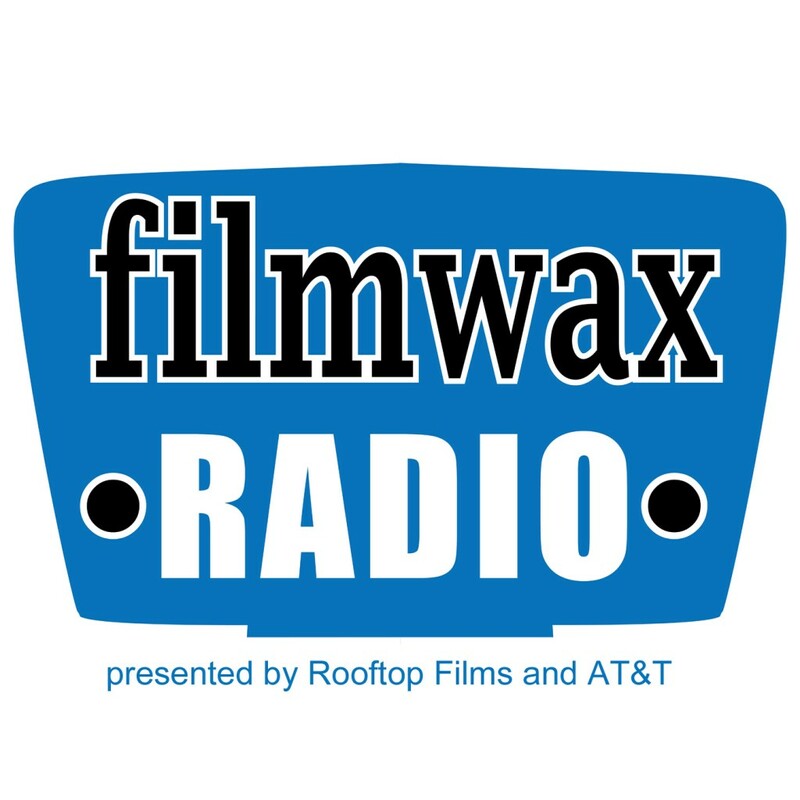 Filmwax Radio is a New York-based weekly podcast focusing on independent film. Guests include filmmakers, actors, journalists, programmers and others in the community. Its two flagship sponsors are Rooftop Films and AT&T. Filmwax Radio is looking for a social media intern on an ongoing basis. This position does not pay at the moment but there are perks. Eventually there will be a model for monetizing this role. The intern will have many networking opportunities in the New York film world and in the arts scene in general. Additionally, if the person in this role successfully facilitates a sponsorship, there will be renumeration (terms of which to be contractual between Filmwax Radio and the intern). This role would begin immediately and is ongoing. A minimum of 5 hours a week is required though that number is flexible during certain periods of time. There would be very few instances where a physical presence would be required. This position can be done almost entirely remotely. Potential candidate should send their resume to adam@filmwax.com. College students are welcome. References will be requested which may include professional relationships outside of work experience. We are hoping to provide professional experience to this intern. Candidates will also be expected to name their favorite film of all time, their current favorite, how they generally watch films, what are they looking forward to seeing, and what their career goals are. You will not be judged for your answers; it comes down to whether the fit is right or not. Friendly, bright and engaged human beings need only apply. A couple of weeks ago when I moderated a Q&A for the indie film, “The Lie”, I noted my friend Kristin McCracken in the audience. After the event, she introduced me to her attractive friend who accompanied her, Katie O’Grady. 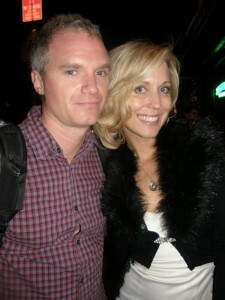 Katie, it turns out, is the star of yet another indie film, “Rid of Me“, which opened this weekend here in NYC. [Come to think of it, that makes “Rid of Me” competition for “The Lie”. Anyway, if you’re reading this…and you are reading this… go see both.] 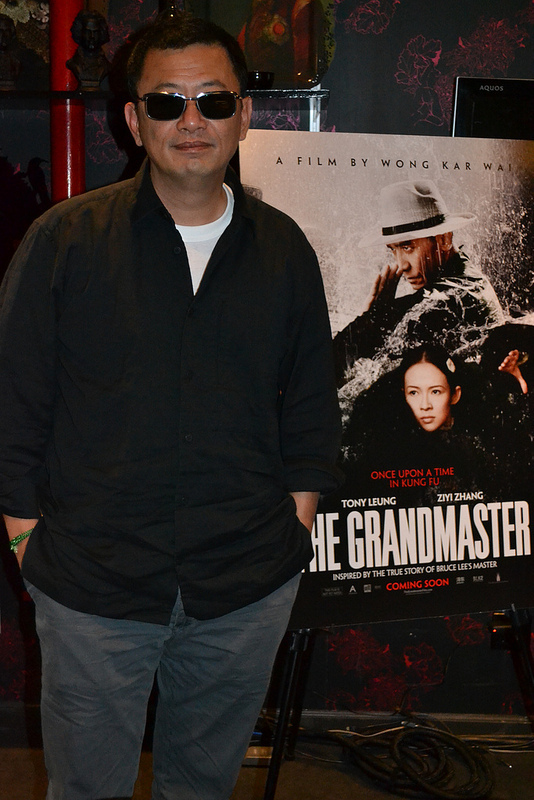 Between the two films, it led me to thinking: we’re entering into a great time for indie films. Allow me to clarify, it’s a great time for indie film audiences. For even the most seasoned journalist, interviewing Albert Maysles is a pretty big deal. I met Al a while back at a NYFVC event on documentary ethics in which he was a panelist. I saw him sitting in the front of the auditorium before the event began and introduced myself. He immediately began to ply me with anecdotes about “Grey Gardens” and “Gimme Shelter”. As he was talking, I realized that I should probably be recording this for my own posterity. So I quickly reached into my pocket and took out my iPhone and hit the voice memo app. Here’s the link to that blog post. More recently I was invited to a press screening of Al’s latest documentary, co-directed by his creative partner, Maysles Films President Bradley Kaplan. The new documentary, “The Love We Make”, follows Paul McCartney around the streets of NYC a couple of weeks prior to the Concert for New York he organized after the wake of 9/11. I immediately took advantage of the opportunity by pitching an interview with the granddaddy of docs to P.O.V., they happily accepted. That interview appears on this blog and on POV’s. What follows is a transcript of the entire interview. Schartoff: Well, thanks for coming downtown for this. Bradley Kaplan: It’s our pleasure to do something with P.O.V. We should do something with P.O.V., shouldn’t we, Al? Other than them airing Salesman a decade ago. Remember that, Al? You got a kick out of that. Recently I’ve been running into Albert Maysles all over New York City. There was the interview, which was the catalyst for this piece, of course. Then there was the chance encounter in the subway station where he stopped and chatted with anyone who wanted to interact with him. There was the special screening of “Salesman” (POV, 1990) up at the Maysles Cinema on Lenox Avenue in Harlem. At a DOC NYC screening of “Better Than Something: Jay Reatard“, a film co-directed his editor Ian Markiewicz, I passed Maysles on the subway steps at West 4th Street as he was making his way up to the IFC Center. If not for the fact that I had to get home, he was ready to bring me into the theater as his guest. His latest film (with artistic partner Bradley Kaplan), which opened at Film Forum in New York, is “The Love We Make”. 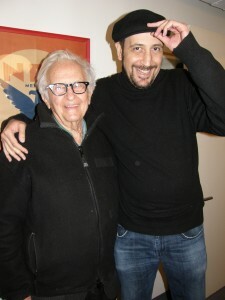 Maysles, who turns 85 on November 26, 2011, is still an incredibly vital filmmaker and shows few signs of slowing down. The lesson when meeting him is, don’t be fooled by his soft-spoken demeanor. He’s a prolific and generous individual who still finds great pleasure in the work he’s been doing for over 60 years. When asked during the post-screening Q&A of “Salesman” who are his current favorite documentary filmmakers are, he didn’t hesitate to answer: those students currently working at the Maysles Institute. 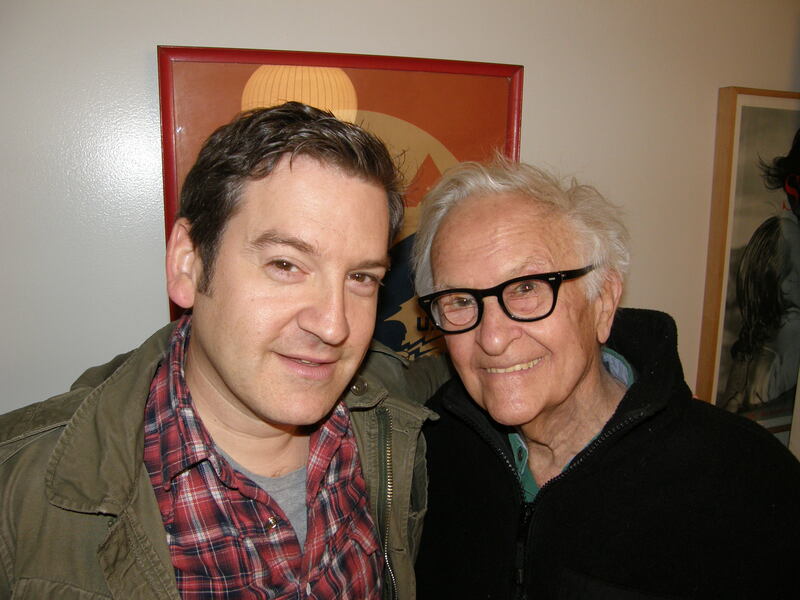 For many years Albert Maysles’ creative partner was his brother David. David died almost 25 years ago, and it should be noted the pair also maintained a significant collaboration with editor Charlotte Zwerin (“Gimme Shelter”, “Salesman”). 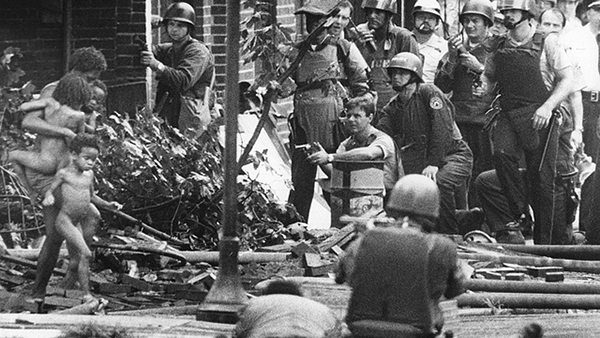 About five years ago, a friend who worked for Maysles suggested a young documentary filmmaker named Bradley Kaplan come down and meet with him at their Harlem offices. The Robert Flaherty Film Seminar‘s program of innovative docs continues for three more Tuesdays in November at New York City’s 92YTribeca. If you New York doc fans haven’t had a chance to swing by the 92YTribeca to sample of the tasty morsels at The Robert Flaherty Film Seminar since its start last month, there’s still time! 2011 marks the first year that The Flaherty Seminar and the 92nd Street Y’s downtown arts center have collaborated, and the results speak for themselves. Joe Swanberg has been the subject of debate pretty much since his first movie, “Kissing on the Mouth”, debuted in 2005. 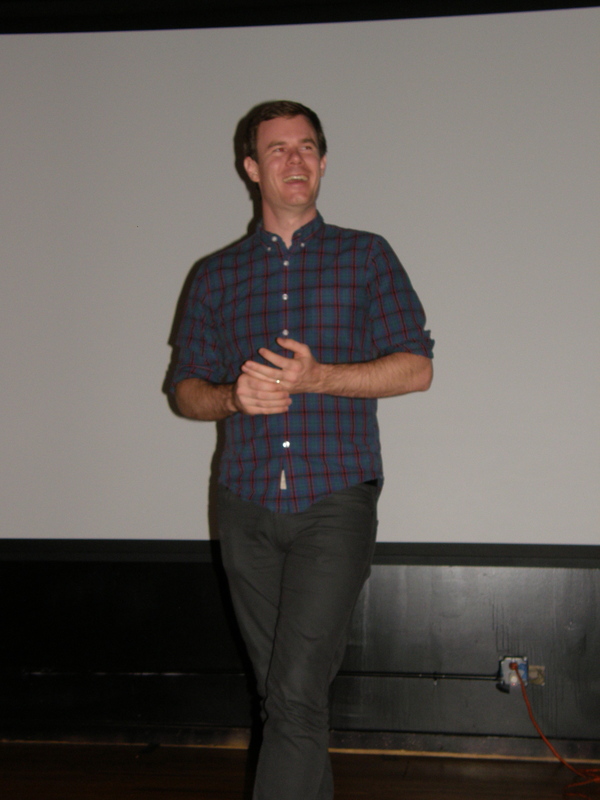 His subsequent films, along with those of Andrew Bujalski and the Duplass Brothers became the movement known as mumblecore. The term was a result of the relative lo-fi camera work and sound; and the films were, for a couple of seasons, a topic of much rancor among the indie film community. Mumblecore, as a genre —or sub-genre— has already given way to the more accurately monikered microbudget film. The term mumblecore is not very relevant any more since most filmmakers, even those operating at a threadbare budget, know that to hire a sound guy is what could very well distinguish their film from looking amateur. Crisp and clear dialogue puts the audience member in the center of the story and does not feel as though they are merely watching a cheap movie. Cheap movies are fine, in other words, but you still need to get lost in them. This Sunday, October 30th, 6pm, The Filmwax Film Series will be screening the 2nd of 4 Chinese films in partnership with dGenerate Films. dGenerate, run by producer Karin Chien, distributes non-government sanctioned films here in the U.S. and other points West. Last Sunday, 10/23, we screened “Super, Girls!” directed by Jian Yi which was followed by an engaging Q&A with New York Asian Film Festival co-founder and programmer, Grady Hendrix. 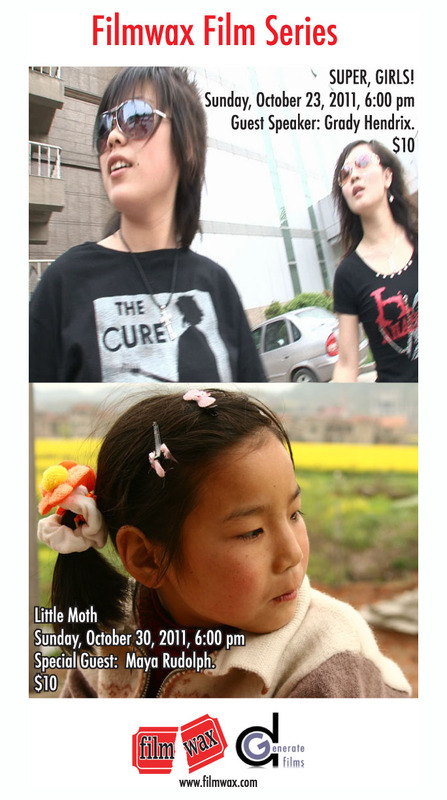 This Sunday, the film is “Little Moth” directed by Peng Tao a lovely dramatic fiction film. The guest speaker will be Chinese film scholar and dGenerate blogger, Maya Rudolph. There is a suggested donation of $10. Proceeds from ticket sales are being sent back to China to benefit the filmmakers, who are in need of… well, benefits. New York’s fall documentary festival is back for a second year, with galas “Into the Abyss”, “Lemon” and “The Island President” and a tribute to cinéma vérité pioneer Richard Leacock. It’s great to catch a film festival at its beginning. It has a vitality similar to that of a young child. Along with that creative energy usually comes some growing pains, but those can be fun to witness as well. 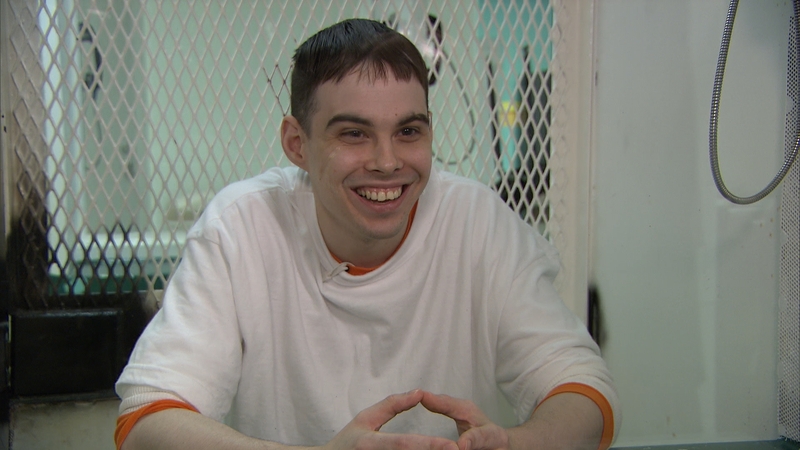 DOC NYC, which starts its second year on Wednesday, November 2, 2011, and goes through November 10, enjoyed an exceptionally strong debut season last year, including a couple of titans of the documentary world. Werner Herzog offered an advance screening of his 3-D French movie, “The Cave of Forgotten Dreams”, and another event of note was Errol Morris’ “Tabloid”, perhaps more memorable for the post-screening Q&A where an uninvited Joyce McKinney, Morris’ main subject, inserted herself most vocally into the proceedings. 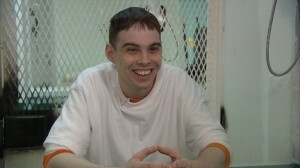 The gala films at 2011 DOC NYC are “Into the Abyss”, “The Island President”, “Lemon”. Richard Leacock gets the retrospective treatment. 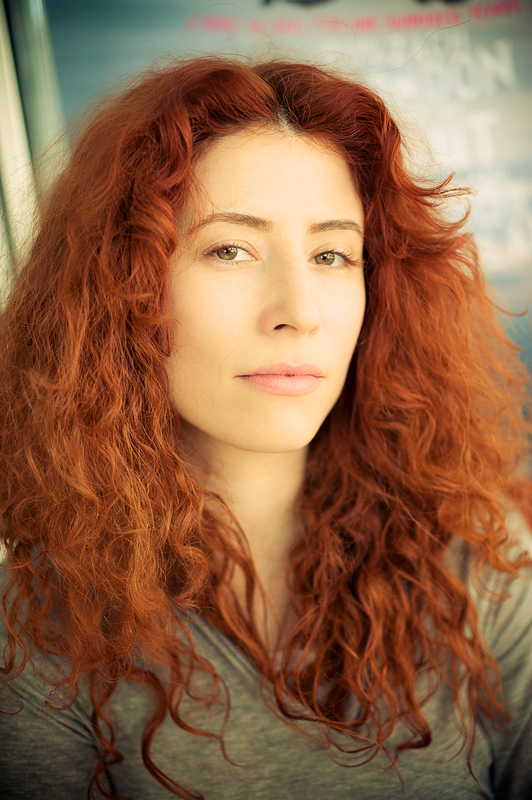 Alma Har’el is a commercial and music video director whose first feature film, the documentary “Bombay Beach”, was named Best Documentary at the 2011 Tribeca Film Festival. 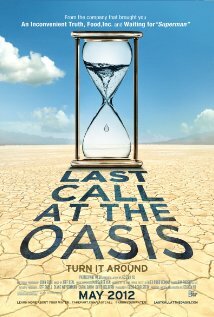 The film focuses on the impoverished but cinematic Southern Californian outpost of the same name, with Har’el giving it some context by aiming her camera, vérité-style, at a few of its denizens, including a hyperactive 7-year-old child (Benny), his family, and CeeJay, an ambitious teenager who escaped the drugs and violence of his Los Angeles home to “make it” here. Har’el also collaborated with her subjects to incorporate dance sequences, giving the film an otherworldly dimension that inexplicably feels right. Adam Schartoff: Bombay Beach presents a real relationship between people and place. Was that something you were conscious of creating from the start?